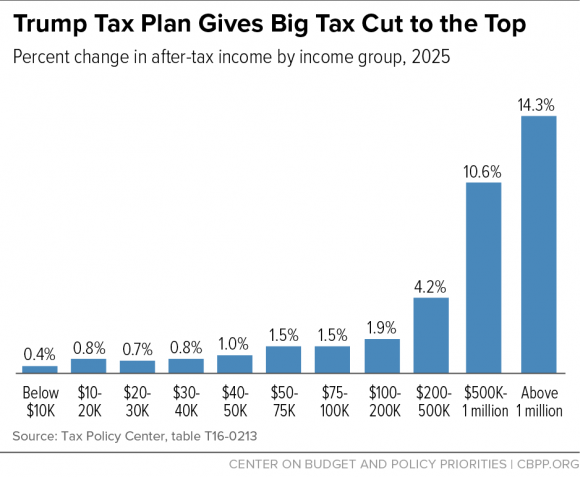 Courtesy of The Tax Justice Blog. “On paper, at least, the Cayman Islands is an economic powerhouse. 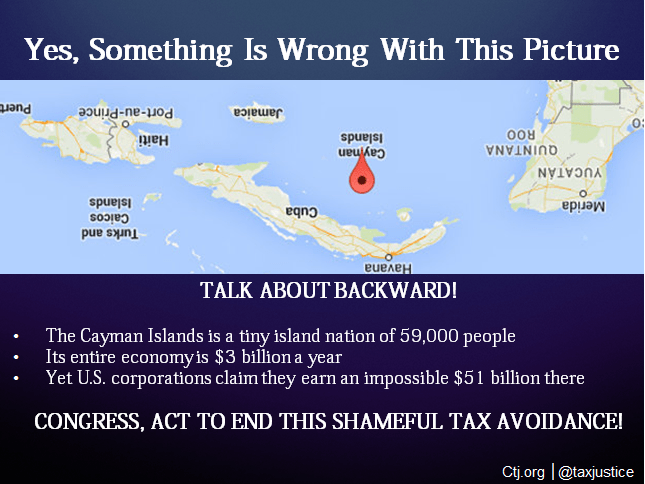 The latest data from the Internal Revenue Service show that U.S.-based corporations claim that their subsidiaries earn $51 billion a year there, an astonishing figure for an island nation that has a population of just 59,000. But official statistics peg the size of the entire Caymans economy at just $3 billion a year. Put another way, for every $1 of economic activity that occurs in the Caymans, American corporations are telling the IRS that they earn $16. Just a stone’s throw away from these Potemkin office buildings, in which Bank of America alone disclosed basing 143 subsidiaries in its 2013 annual report, chickens casually wander across unpaved streets lined with broken-down cars.” Read at the source. 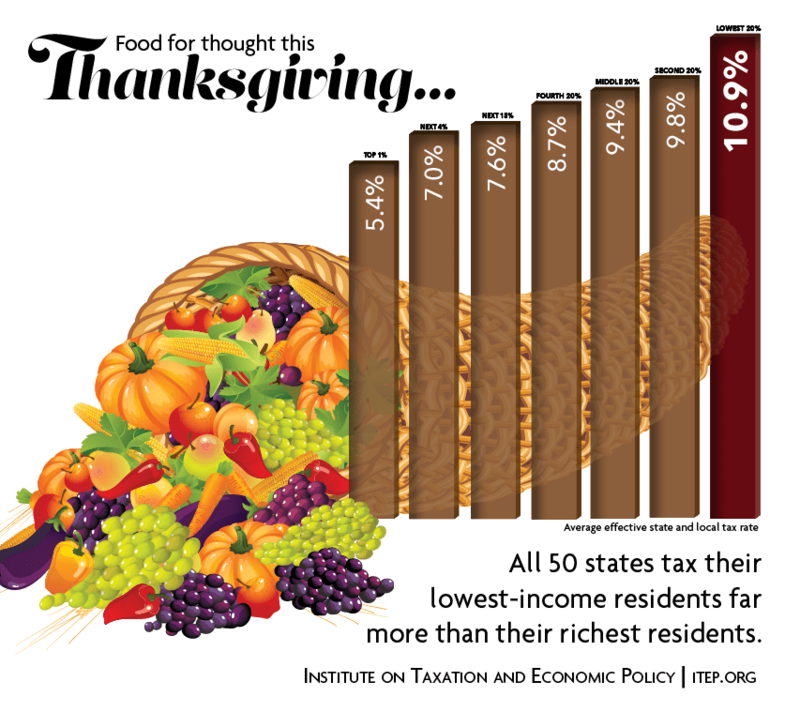 Courtesy of Citizens for Tax Justice, the Institute on Taxation and Economic Policy, and the Tax Justice Blog. via the Institute on Taxation and Economic Policy.